Fruitvale is the true story of Oscar Grant, a 22-year-old Bay Area resident who crosses paths with friends, enemies, family and strangers on the last day of 2008. The film will screen in the U.S. Dramatic competition at the 2013 Sundance Film Festival. You may have seen our teaser interview with Ryan early last week—check out the full video above! Ryan Coogler is a 26-year-old filmmaker based in the Bay Area. He earned his MFA at the University of Southern California School of Cinematic Arts in 2011, where he made several short films including Fig, Gap, and Locks. When he is not working on a film project, Coogler works as a counselor at San Francisco Juvenile Hall. An acutely observed portrait of a foster care facility for at risk teenagers. Told with immediacy, uncanny accuracy, and almost no sentimentality, Short Term 12 is a story both of the children who live at the home—and of the staff members who care for them. Destin Daniel Cretton’s fourth short film Short Term 12 won the Jury Prize at the Sundance Film Festival in 2009. He wrote a feature screenplay from the same subject matter and with the same title, for which he won a Nicholl Screenwriting Fellowship from the Academy of Motion Picture Arts and Sciences in 2010. Cretton's feature film directorial debut I Am Not a Hipster premiered at the Sundance Film Festival in 2012. Asher Goldstein is an award-winning filmmaker who has written for several online publications, including the Huffington Post. His experience in the indie film business spans various aspects of production, sales, and packaging. 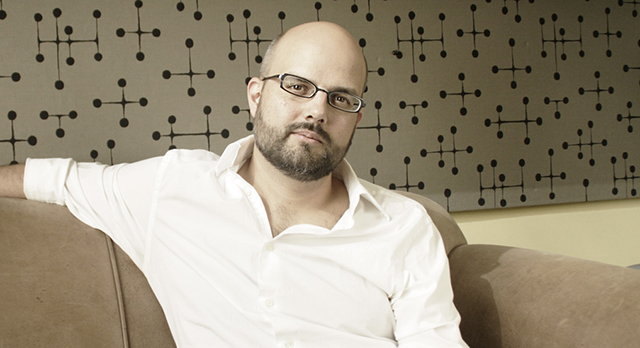 Goldstein has several projects under his belt, including Destin Cretton’s I Am Not a Hipster. He graduated with Honors from NYU's Maurice Kanbar Institute of Film & Television with a B.F.A. in Film & Television Production. The small West Texas town of Matame hasn’t seen a drop of rain in seven years. It’s a place that desperately needs water, but what they get instead is Sloppy Unruh, a charming rogue and musical prodigy, who’s been wandering the country for the past 20 years. Sloppy turns Matame upside down, seducing the ladies, dazzling the citizens, and running for sheriff against the corrupt incumbent . . . who happens to be his jealous younger brother. De la Vega participated in Filmmaker360’s Off the Page script workshop program for this project with actors Kyle Chandler, John Hawkes and Amy Ryan in the summer of 2012. 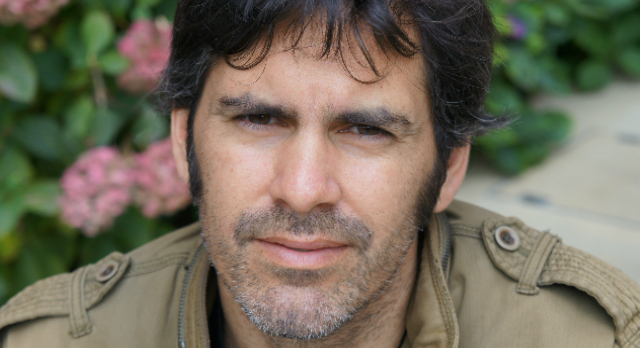 Mario de la Vega’s first feature, Robbing Peter, premiered at the 2004 Los Angeles Film Festival and received four 2005 Independent Spirit Award nominations. His script for The Undeniable Charm of Sloppy Unruh won the screenplay section of the Tribeca All Access Connects program. Other projects include producing the documentary Wall: The Journey Up about a man with cerebral palsy who climbs El Capitan and directing a music video for Bright Eyes. Dale Ryan is a desperate and broke real estate hustler. While chasing down a lead, he discovers two children abandoned in an empty house. Shockingly they are the kids of his long-lost friend who has a connection to a lucrative property development. With his eye on the real estate, Dale volunteers to look after the children. After the parents’ missing minivan is found, Dale uncovers a web of corruption implicating people closest to him. This project was previously supported by a $15,000 SFFS / KRF Filmmaking Grant for screenwriting in the fall of 2011. Eric Escobar was born in San Francisco and has lived all over the Bay Area, from the rural fringe of Hollister to the urban core of Oakland. His short narrative films have played in festivals, and won awards, all over the world, from Sundance to Malta. Escobar works a commercial director at the Kontent Kollective in San Francisco. Felix, a gay, undocumented Mexican immigrant living in San Francisco, is unable to find work. Dumped by his lover, a disenchanted Felix is swayed by his sister to join her and new husband in rural Pennsylvania where, despite being undocumented, they have managed to carve out a decent life for themselves working at a processing plant. But once there, alienated by the town's newly proposed anti-immigration law and forced into silence around his sexuality, Felix finds unexpected solace in the company of one person: his sister's husband. Aurora Guerrero wrote and directed Mosquita y Mari, her debut narrative feature, which was supported by a SFFS / KRF Filmmaking Grant for postproduction in the spring of 2011. Since premiering at the 2012 Sundance Film Festival, Mosquita y Mari has traveled to top-tier film festivals including San Francisco International, Melbourne, and Sao Paulo, and has garnered multiple awards including Best First Narrative Feature and Best Leading Actress at Outfest. Mosquita y Mari was theatrically released in Europe and New York City where it received critical praise. Most recently, Guerrero was named a Time Warner/Sundance Storytelling Fellow. Set in 1985, Ping Pong Summer tells the story of 13-year-old Rad Miracle, a shy white kid who is obsessed with two things: ping pong and hip-hop culture. During his family’s annual summer vacation to Ocean City, Maryland, Rad makes a new best friend, falls in love, becomes the target of rich, racist local bullies, and finds an unexpected mentor in his outcast next-door neighbor. Ping Pong Summer is about that time in your life when you’re treated like an alien by everyone around you, even though you know, deep down, that you are as funky fresh as it gets. After his directorial debut Cocaine Angel world premiered at the 2006 International Film Festival Rotterdam, Michael Tully was named one of Filmmaker Magazine’s 25 New Faces of Independent Film. His follow-up, Silver Jew, world premiered at the 2007 South by Southwest Film Festival, and is now available on DVD through legendary independent music label Drag City. He wrote, directed, and acted in Septien, which world premiered at the 2011 Sundance Film Festival and was picked up for distribution by Sundance Selects. Since 2008, he has been the head writer/editor of HammerToNail.com, a website devoted to championing ambitious cinema. George Rush is an attorney, sales rep and producer of hundreds of films including Everything Strange and New, Audience of One, D tour and It Came from Kuchar. He is dedicated to supporting independent filmmakers, stewarding them in the business and legal issues to make films both commercial and artistic successes. His clients include producers, directors, screenwriters and investors in development, production and distribution phases of filmmaking.